Taiga produced by Playson is dedicated to the greatness of the taiga forests. Running a colorful video slot, you will find yourself in the middle of huge coniferous trees, behind which various wild animals hide. 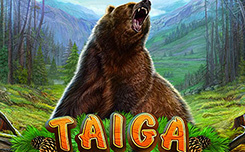 Taiga slot, has five reels and 20 paylines. 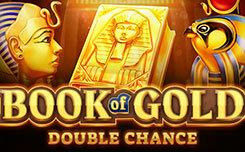 The game has simple symbols that act according to general rules, pictures with advanced functions, and also free spins. On the game screen, you will see: taiga animals, mushrooms, berries and nuts. Some of them can be filled with stripes, filling them from top to bottom. Wild (bear) is on all the drums, forms combinations himself and replaces other symbols, except bonus. Bonus (tiger) is not paid, but it activates free spins. 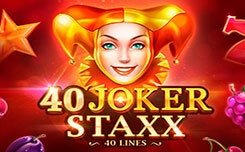 Free Spins – Three bonus pictures start five free spins. They can be increased if there are three more scatterers. You will get three more spins. 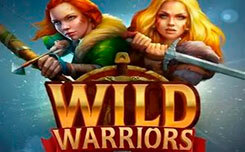 Despite the absence of unusual game features and spectacular graphics, this model attracts attention, generous freespins, rather high coefficients and themes, interesting to many users.